Twice a year the most talented choral singers in the country come to New Mexico to perform for you. The Santa Fe Desert Chorale is a 31 year old performing arts organization. This 24-member vocal ensemble recruits professional singers from all over the United States. It’s nationally recognized for its eclectic blend of Renaissance melodies and modern avant-garde compositions. 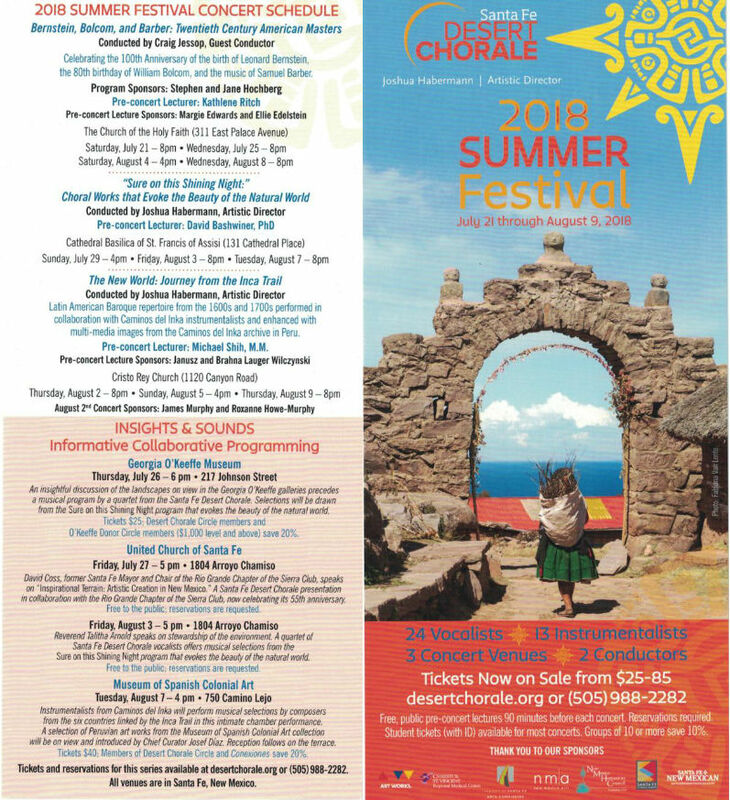 During the Summer Festival, the Chorale performs concerts at various historic locations, including the Cathedral Basilica of St. Francis and Loretto Chapel, as well as settings throughout Santa Fe and Albuquerque. The Chorale also performs a popular series of Christmas and New Year concerts during its Winter Festival in December. The Santa Fe Desert Chorale is something you must experience!